Our faculty for SWF19 will inspire, teach, listen, and support writers with open minds and a shared love of words. has twenty years of experience in the publishing industry, with expertise in digital media strategy for authors and publishers. She’s the cofounder and editor of The Hot Sheet, the essential publishing industry newsletter for authors, and the former publisher of Writer’s Digest. In addition to being a professor with The Great Courses and the University of Virginia, she maintains an award-winning blog for writers at JaneFriedman.com. his debut novel The Good Son won The McCrea Literary Award and The Polari First Novel Prize and was shortlisted for many others including the Prix du Roman Cesam. His short fiction has been published in journals and anthologies, and has been commissioned by BBC Radio 4, Faber & Faber and Sky Arts TV. Paul is co-founder of the London Short Story Festival and Associate Director at Word Factory, the UK’s leading short story literary salon. He is a reader and judge for national and international short story competitions. His classes sell out internationally and he will begin teaching for the Faber Academy in June. is a creative writing fellow at Emory University in Atlanta, Georgia. Cassie holds a master’s degree in creative writing from the University of Oxford. Her work has been featured in several literary journals including the Kenyon Review. Her play REX has been published and staged throughout the United States. grew up in Maine and studied English at Brown University and Cambridge University. Her award-winning novels have sold over a million copies worldwide, and she has twice been selected for the Richard and Judy Book Club in the UK. Her bestselling novel TOGETHER has been translated into eleven languages and optioned for television adaptation. Julie runs an oversubscribed literary consultancy which has helped many writers go on to be published. She is a Vice President of the Romantic Novelists’ Association and a Patron of literacy charity ABC To Read. Her most recent novel is LOUIS & LOUISE (January 2019). (rhymes with dowry) is an Agatha, Anthony, and Lefty nominated author best known for her critically acclaimed Mira James mysteries, which have earned multiple starred reviews from Library Journal and Booklist, the latter calling her writing “a splendid mix of humor and suspense.” Jess also writes sword and sorcery fantasy, edge-of-your-seat YA adventure, magical realism, and feminist thrillers. She is a tenured professor of creative writing and sociology, a recipient of the Loft’s Excellence in Teaching fellowship, a regular Psychology Today blogger, and a TEDx presenter. When not teaching, reading, or dorking out with her family, you can find her dreaming of her next story. grew up in suburban New York and graduated from Columbia University. Her first novel, Uptown & Down (Penguin/NAL), was published in 2005. Her latest book, Lagging Indicators, was published independently. She lives in Stockholm, Sweden, with her husband and two teenage children. is the coauthor of Stockholms Undergång (2014) and Zonen Vi Ärvde (2017), and is a pioneer in teaching narrative game design for game studios and universities. Cofounder of the author’s collective Fruktan, Eira has worked with producing the collective’s horror podcast, as well as done copywriting, PR, and translation work for their creative projects. has worked in the publishing industry for over twenty years. Before launching her boutique agency, Ayesha was a senior editor at Farrar, Straus & Giroux. She has also held editorial positions at HarperCollins and Crown Publishers. She is a member of AAR (Association of Authors’ Representatives), PEN, the Asian American Writers’ Workshop, and the Women’s Media Group. Among her many wonderful clients are National Book Award Winner Ibram X. Kendi, PEN/Bingham Prize winner Danielle Evans, PEN/Bellwether Prize winner Lisa Ko, NYT Bestseller Shilpi Somaya Gowda, and PEN/Hemingway finalist Patricia Engel. Her interests are wide-ranging and include literary as well as popular fiction, young adult, women’s, African American, and international fiction. She is also seeking authors of nonfiction, including biography, history, popular culture, cultural commentary, and memoir. She is particularly drawn to distinctive, original voices. is the founder of Swedish news company The Local, which provides Europe’s news in English to five million readers each month. His book, Good Sweden, Bad Sweden, draws on more than a decade of news coverage to explain how the story of this unique country is being told in a post-truth world. co-founded Hardman & Swainson in 2012, after working at the Christopher Little Literary Agency and The Marsh Agency. She represents a stable of critically-praised, up-and-coming and bestselling authors. Caroline is looking for all kinds of fiction, where great writing meets broad appeal; novels that combine beautiful writing, plot and pace, distinctive characters, emotional depth and a strong hook. She accepts submissions of literary fiction, upmarket commercial fiction including uplifting and book group fiction, historical, crime, suspense and thrillers, and narrative non-fiction including memoir. is an agent at Madeleine Milburn Agency in London. 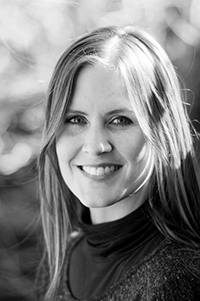 She works closely with Madeleine’s clients and actively seeks new talent for the agency. She also coordinates digital rights and film & TV rights, focusing on book-to-screen adaptation and scripts written by existing clients. She is actively looking for: commercial fiction across all genres, including smart women’s fiction; contemporary women’s fiction; uplifting love stories; high concept novels; grounded sci-fi; speculative fiction; feminist reads; magical realism; tense crime and thrillers; cross-genre books; 14+ YA; nonfiction focused on sports. is a Swedish journalist and author of 20 books. Before she became a writer, Inelman-Sunderg was a marine archaeologist and did scores of expeditions to excavate shipwrecks around the world. In 2012, after deciding, "I'm going to write a best seller," Ingelman-Sundberg did with, The Little Old Lady Who Broke All the Rules. The book went on to sell more than 1.2 million copies internationally and was a #1 bestseller in Canada, Italy and England. The Little Old Lady Strikes Again and The Little Old Lady Behaving Badly are also bestsellers. is a children's book editor and author with seventeen years' editorial experience and over thirty books published, including the popular Blossom Wood series. Formerly senior commissioning editor at Hachette Children's Books, Catherine has been freelance since 2011 and has lived in Stockholm since 2016. 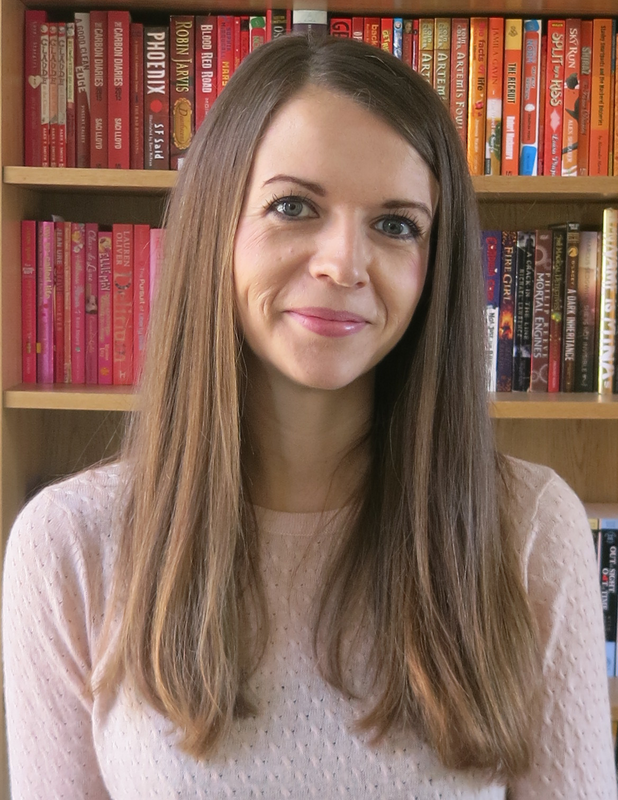 She works for many major and independent UK-based publishers and agents, and also enjoys mentoring talented writers on their journey to publication. She edits children's books of all genres, from picture books to Young Adult, and has worked with top authors including David Almond, Malorie Blackman, Mary Hoffman and Nikesh Shukla. She’s passionate about sharing knowledge and advice with writers to help ease and demystify the path to publication, and is volunteer co-editor of Undiscovered Voices, a biennial competition for unpublished and unagented children's book writers.